Easy Cinnamon Apple Energy Balls are light, delicious, nutritious, no bake balls, made of dried apples, dates, almonds, oat flakes, honey and cinnamon. Yummy! I love quick and easy, healthy treats. You‘ll love the sweet apple and date flavor with cinnamon aroma. 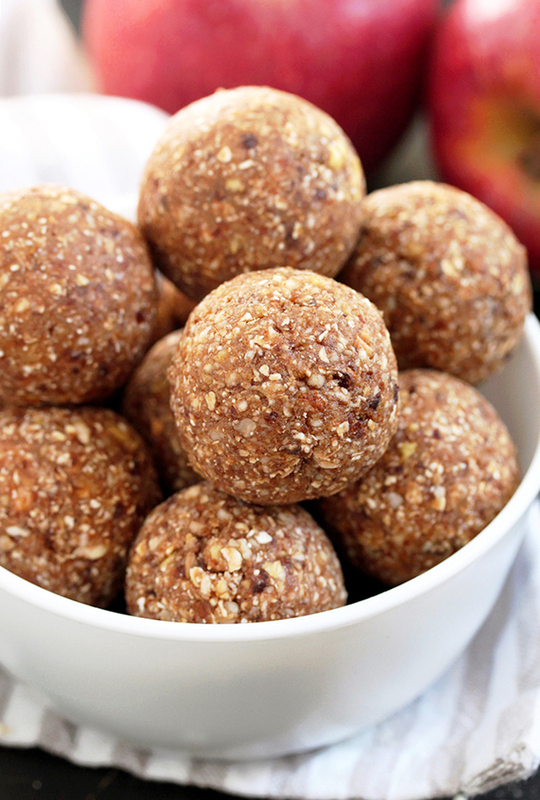 Cinnamon Apple Energy Balls are perfect grab and go snack. They make nutritious and healthy meal, so they‘re perfect for all those who are into that life style. Since they‘re made of raw ingredients, they can be consumed by those who are into raw food. In that case, fresh apple sauce should be used. These cute, little balls are energy bombs, indeed. It takes only a couple of them to feel fresh energy inflow. Easy Cinnamon Apple Energy Balls are my suggestion for a healthy snack, during these fall days, when everything smells of apples and cinnamon. It‘s my favorite combination, so I often prepare apple and cinnamon desserts, especially in fall. 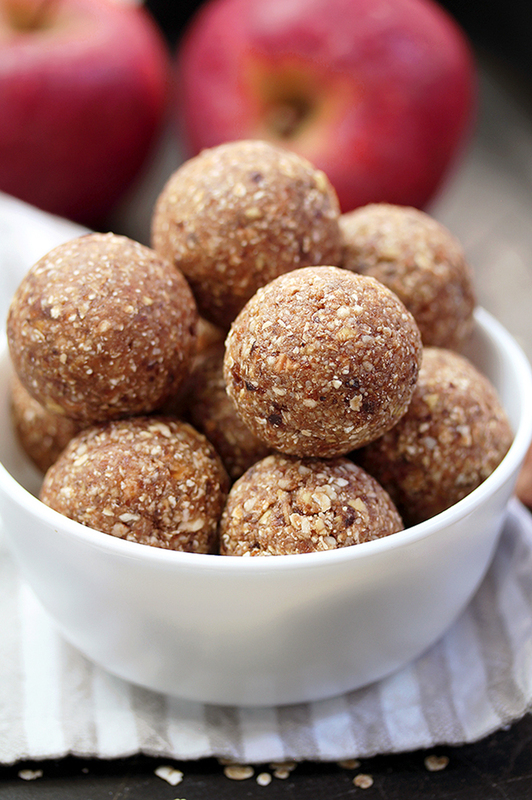 Easy Cinnamon Apple Energy Balls are a healthy snack or a dessert for the whole family. Pack them in a lunch box and take them with you, to work or school. They ‘re a great meal before or after a training. 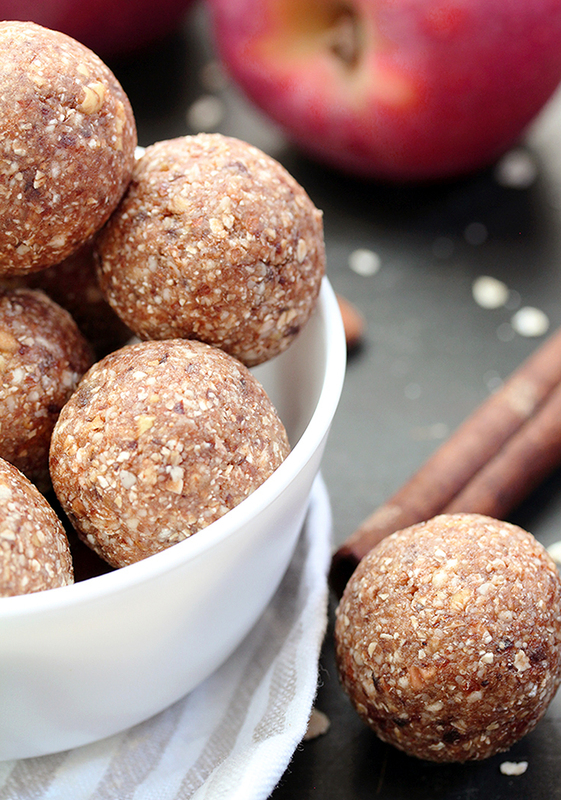 What do you need to make Cinnamon Apple Energy Balls? Apple sauce or fresh apple sauce, if you consume raw food. 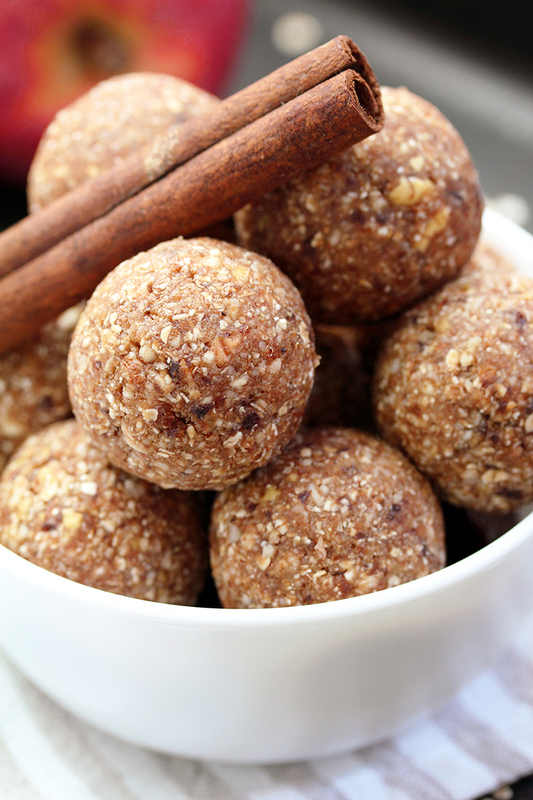 How to prepare Cinnamon Apple Energy Balls? 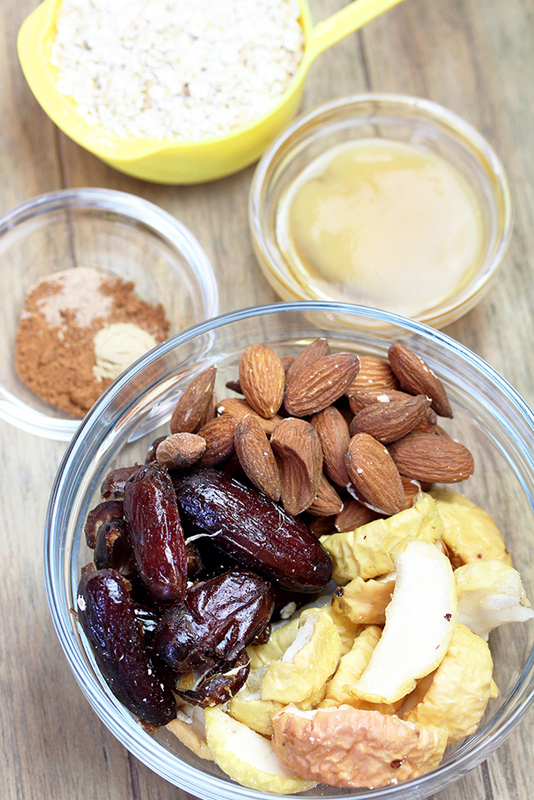 Put dried apples, dates and almonds in the food processor and pulse for about 30 seconds at high-power. Add quick oats, honey, apple sauce, cinnamon, nutmeg and ginger. Keep pulsing until all the ingredients are finely chopped. Make balls using your hands. There should be about 10 of them. And that‘s it. It‘s so easy that even kids can make these delicious and healthy bites. If you‘re into healthy food, check our recipes for… Healthy. If you prefer apples and cinnamon, take a look at… Easy Cinnamon Sugar Apple Cake, Caramel Apple Mini Cheesecake and Layered Apple Lasagna Dessert. I love delicious, healthy meals and Easy Cinnamon Apple Energy Balls are just like that. Try them out and enjoy! 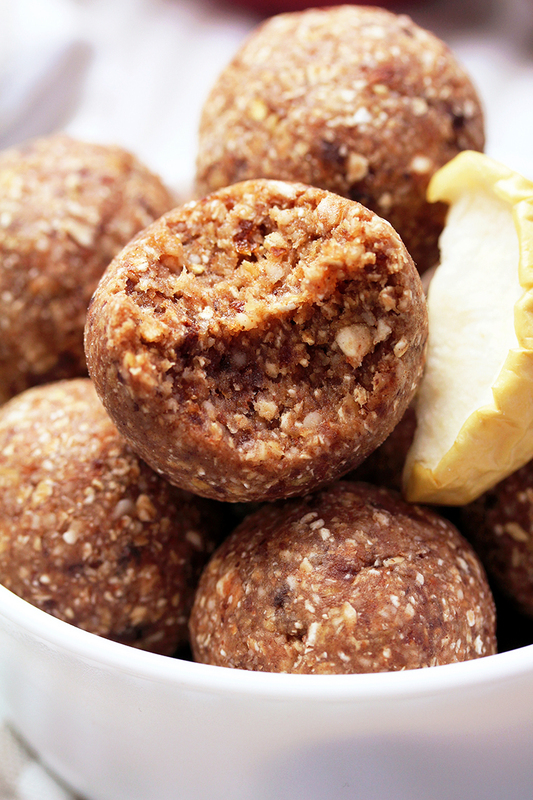 Cinnamon Apple Energy Balls – are quick and light, delicious, nutritious, no bake balls, made of dried apples, dates, almonds, oat flakes, honey and cinnamon. Yummy! 2 tablespoon Apple sauce or fresh apple sauce, if you consume raw food. Put dried apples, dates and almonds in the food processor and pulse them at high-power for 30 seconds, until they are roughly chopped. Add quick oats, honey, apple sauce, cinnamon, nutmeg and ginger. Keep pulsing until all the ingredients are finely chopped. Roll the balls in your hands. There should about 10 of them. Keep refrigerated in an air-tight box, up to 7 days!